Are you in a fix as to which career avenue to select just after grad school? Well, itâ€™s not uncommon and you shouldnâ€™t be ashamed of it. Gone are the days when students would follow a linear career path right from their high schools and continue in that direction all throughout their career. Today, with cut throat competition all around, it has become tough for students to stick to a single career option. In fact, I would suggest that you keep more than one career options open. An RPN Program is one such course which aspiring nurses and students of medicine can apply for and get certified in quick time to get them a good paying job with a rewarding career. RPN stands for Registered Practical Nurse program. It is by far the most authoritative professional nursing training designed for graduates, who want to pursue a medical career without crunching tough entrance exams. Not that getting into the RPN program is childâ€™s play, but compared to other medical board entrance exams, RPN program is easy to deal with. You can self-study for the RPN test, an entrance exam to validate your candidature for the RPN program. There are resources available online to help you with. Moreover, there are institutes that offer coaching and guidance on how to crack the RPN test at one go. All you need to do is register at one of these RPN test preparation institutes and follow their advice in order to get selected and launch your career. However, you may ask “Why at all would I be interested in RPN? Is it really worth it? How good would it be to pursue a career as a Registered Practical Nurse?”; Well, to get reasonable answers to these questions, read the Q & A section below. Q. Why at all would you be interested in RPN? A. Simply put, RPN program will propel your career miles ahead of your classmates and act as a launch pad from where you can pilot your career to any level of proficiency. The sky is your limit! Q. 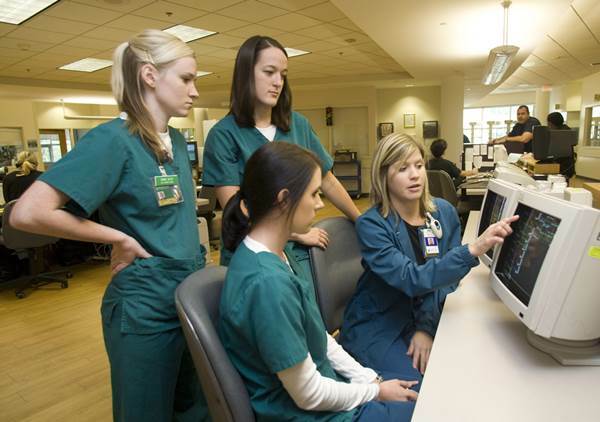 Is Registered Practical Nursing program really worth pursuing? A. I would say getting into a professional training course that offers you good employment scope, and that too with a lucrative remuneration plus health and family security, is hard to come by these days; even you would agree with that. You will be privileged to have all of these once you become a Registered Practical Nurse after qualifying the RPN test and completing the RPN program. Moreover, an RPN certificate would add finesse to your CV and help you to clinch better job positions as you progress along your career path. Q. How good would it be to pursue a career of a Registered Practical Nurse? A. Now that, of course, depends on what your expectations are from your job or career as a whole. If you want quick bucks with less work, I wouldnâ€™t recommend you to go for an RPN program. There might be other ways to do that, which I am not aware of! I believe that in whatever profession you may be, you should give your best and perform consistently, showing dedication and perseverance. Only that could bolster your success as a professional in the highly competitive scenario as the one weâ€™re in today. The job of a Registered Practical Nurse is challenging but highly satisfying, and I say that from practical experience on the floor. The RPN program provides a profuse scope of personal development for the learners besides making you an expert in handling emergency health situations, which all of us may face sometime or the other in our lives. In short, if you want to kick-start your career just after grad school and pursue a profession thatâ€™s going to provide you a solid foundation for your future, an RPN program could just be your ideal choice. All you have to do is crack the RPN test at first and start moving on the road to success. Koustuv Roy is an expert health careers writer. He has considerable experience as a nursing trainer and caregiver with a leading medical facility. Here he offers 3 tips to students on why they should consider an RPN program as a good way to start building a successful career road map.